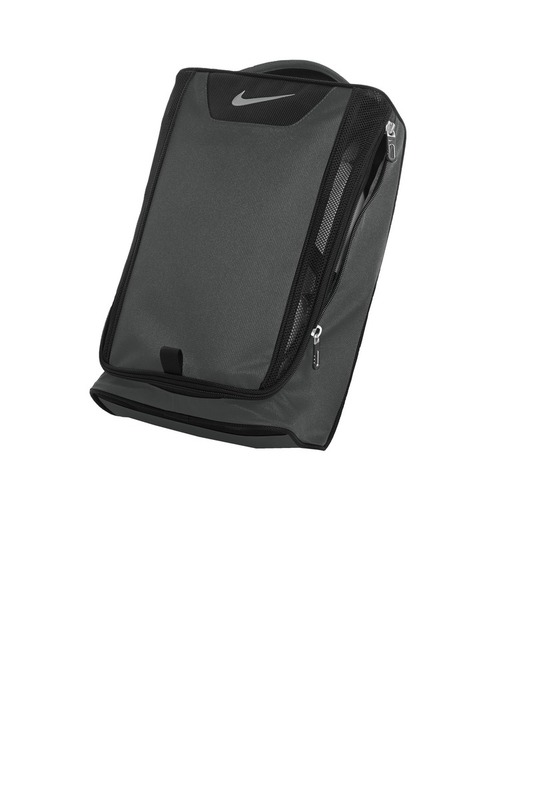 A zippered open compartment with mesh panels delivers breathable protection for shoes. 150 x 300D polyester/1 680D ballistic nylon 150D polyester lining Contrast welded Swoosh design trademark Padded top handle Dimensions: 13 h x 9 w x 5.5 d; Approx. 643 cubic inches*Bags not intended for use by children 12 and under.